BOLT’S mission is simple…Bring reliable, high-speed service options to our rural area and offer our communities first rate services. We are investing in the future of our local families and friends to ensure a solid, redundant technology path for internet, television, and phone. Fiber To The Home, it doesn’t get any better than that! We have put this page together to direct you to where you need to go!! If you are curious about our packages, and plans, click here. If you are ready to get signed up, click here. If are curious of our project and build out, click here. If need support, click here. Already have an account, and need to make some changes, or pay a bill, click here. 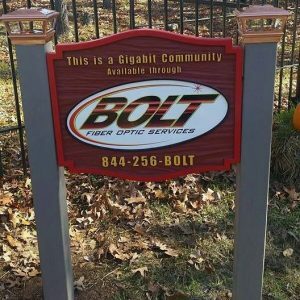 BOLT™ Fiber Optic Services. All rights reserved. DISCLAIMER: Where permitted by law, we disclaim any implied warranties provided by law including the implied warranties of merchantability or fitness for purpose. We do not warrant that the system will always detect, or help prevent, any burglary, fire, hold-up or any other such event. We do not warrant that the system cannot be defeated or compromised or that it will always operate. We do not warrant any work or products provided by you or a third party used in connection with your system. This institution is an equal opportunity employer and provider.